My favorite lines from the movie are when Eric’s character, played by actor Ian Charleson, says, “God…made me fast. And when I run, I feel his pleasure.” Though those lines were actually penned by screenwriter Colin Welland, I think the real Eric would have agreed with the sentiment. Those who knew him testified that his personal and moral convictions weren’t born of a cold, rigid religious piety, but of a warm, happy devotion to his Lord and Savior. Here’s that clip from the movie, with Eric talking to his sister Jenny. Upon learning of Eric’s death, it wasn’t just Scotland that mourned. All over the world people who had been inspired by him in the Olympics and in the Christian life joined the mourning. On the surface, it all seems so tragic. Why did God withhold from this great man of faith a long life, years of fruitful service, the companionship of his wife, and the joy of raising those beloved children? It makes no sense. There is another way to look at the Eric Liddell story. Nanci and I discovered this firsthand when we spent an unforgettable day in England with Phil and Margaret Holder, in May of 1988. We knew almost nothing about the Holders except that Phil was a pastor. Some missionary friends we were visiting in England took us to their home in Reading. Margaret was born in China to missionary parents with China Inland Mission. In 1939, when Japan took control of eastern China, thirteen-year-old Margaret was imprisoned by the Japanese in Weihsien Internment Camp, where many foreigners in Beijing were sent to. There she remained, separated from her parents, for six years. Margaret told us stories about a godly man she called “Uncle Eric.” She said he tutored her and was deeply loved by all the children in the camp. She looked at us and asked, “Do you know who I’m talking about? 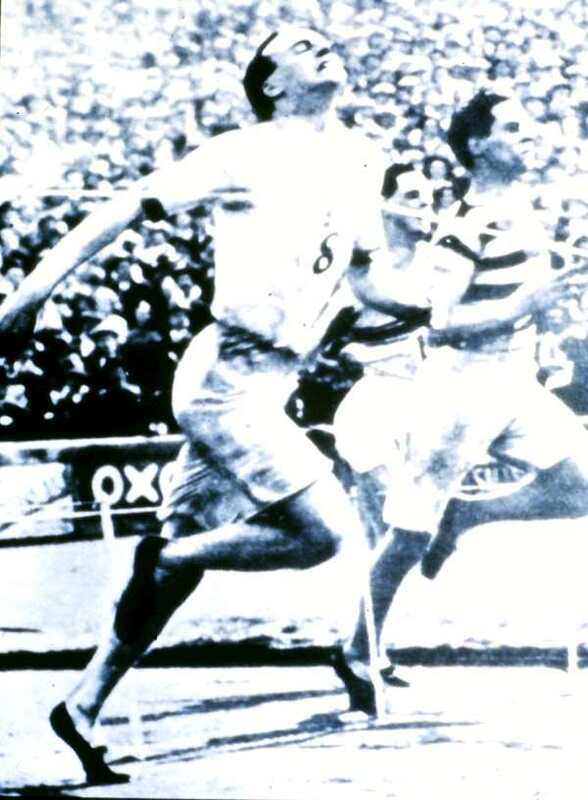 Uncle Eric’s name was Eric Liddell.” I recall like it was yesterday how stunned we were because Chariots of Fire was such a favorite movie, and we’d watched it several times in the seven years since it was released. Here we were learning inside information about one of our heroes! Margaret shared with us a story that illustrated this man’s Christlike character. In the camp, the children played basketball, rounders, and hockey, and Eric Liddell was their ref­eree. Not surprisingly, he refused to referee on Sundays. But in his absence, the children fought. Liddell struggled over this. He believed he shouldn’t stop the children from play­ing because they needed the diversion. Finally, Liddell decided to referee on Sundays. This made a deep impression on Margaret—she saw that the athlete world famous for sacrificing success for principle was not a legalist. When it came to his own glory, Liddell would surrender it all rather than run on Sunday. But when it came to the good of children in a prison camp, he would referee on Sunday. 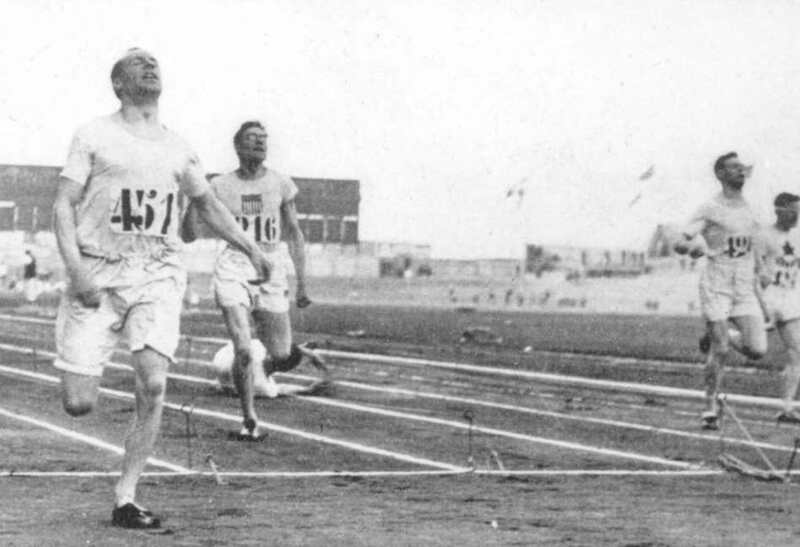 Liddell would sacrifice a gold medal for himself (though he ultimately won the gold in a different race) in the name of truth, but would bend over backward for others in the name of grace. Eric Liddell often spoke to us on I Corinthians 13 and Matthew 5. These passages from the New Testament clearly portray the secret of his selfless and humble life. Only on rare occasions when requested would he speak of his refusal to run on the Sunday and his Olympic record. 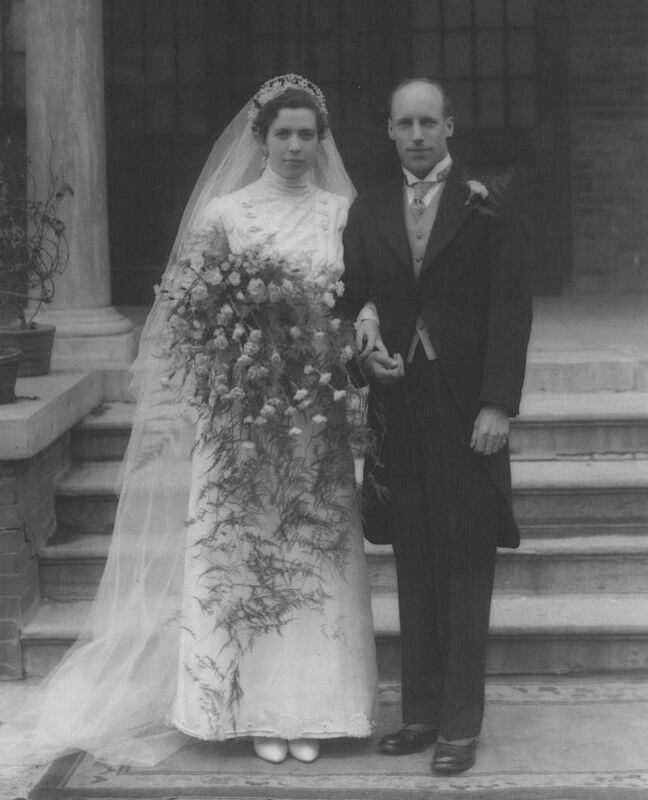 …Not only did Eric Liddell organise sports and recreation, through his time in internment camp he helped many people through teaching and tutoring. He gave special care to the older people, the weak, and the ill, to whom the conditions in camp were very trying. He was always involved in the Christian meetings which were a part of camp life. Despite the squalor of the open cesspools, rats, flies and disease in the crowded camp, life took on a very normal routine, though without the faithful and cheerful support of Eric Liddell, many people would never have been able to manage. …None of us will ever forget this man who was totally committed to putting God first, a man whose humble life combined muscular Christianity with radiant godliness. What was his secret? He unreservedly committed his life to Jesus Christ as his Saviour and Lord. That friendship meant everything to him. By the flickering light of a peanut-oil lamp early each morning he and a roommate in the men’s cramped dormitory studied the Bible and talked with God for an hour every day. Eric spoke with a charming Scottish brogue, and more than anyone I had ever known, typified the joyful Christian life. He had a marvelous sense of humor, was full of laughter and practical jokes, but always in good taste. His voice was nothing special, but how he loved to sing, particularly the grand old hymns of the faith. Two of his favorites were “God Who Touches Earth with Beauty” and “There's a Wideness in God's Mercy.” He was no great orator by any means but he had a way of riveting his listeners with those marvelous, clear blue eyes of his. Yes, that's what I remember most about him as he spoke―those wonderful eyes and how they would twinkle. 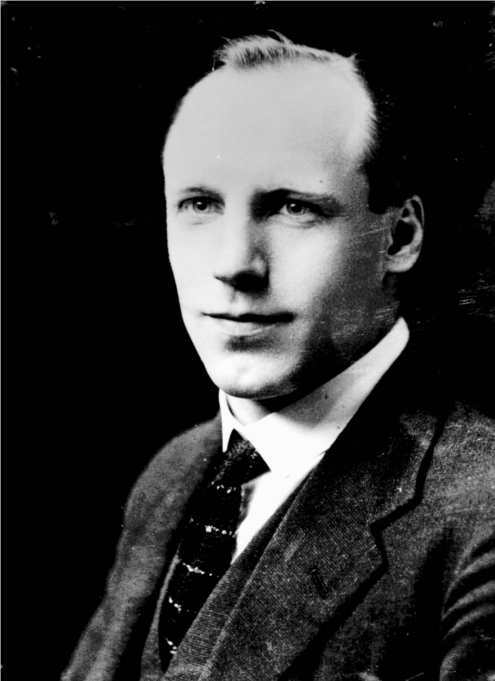 Though he had become an “uncle” and father figure to numerous children, Eric Liddell never saw his own wife and daughters in this world again. After writing a letter to Florence from his bed in the infirmary, he said to his friend and colleague “It’s full surrender” and slipped into a coma. Suffering with a brain tumor, he died in 1945. And while all Scotland mourned, all in Heaven who had cheered Eric on as a servant of Jesus gave him a rich welcome. Through fresh tears that unforgettable day in their living room, Margaret Holder told us, “It was a cold February day when Uncle Eric died.” No one in the world mourned like those in that camp. When five months later the children were rescued by American paratroopers and reunited with their families, many of their stories were about Uncle Eric. 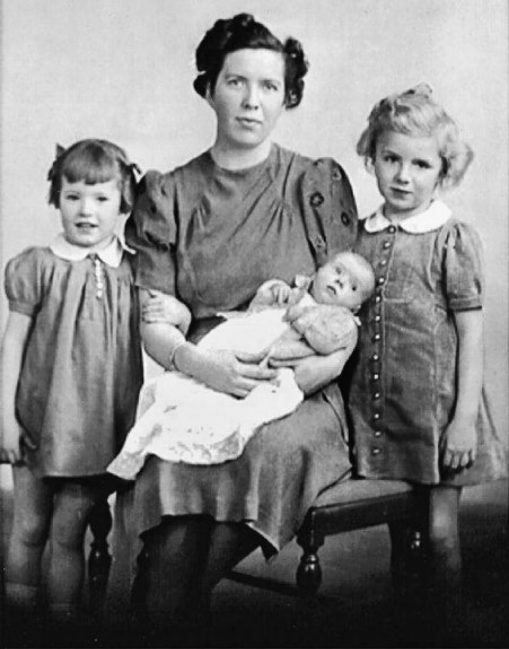 Liddell’s imprisonment broke the hearts of his family. But for years—nearly to the war’s end—God used him as a lifeline to hundreds of children, including Margaret Holder. Viewed from that perspective, the apparent tragedy of Liddell’s presence in that camp makes more sense, doesn’t it? I’m convinced Liddell and his family would tell us—and one day will tell us—that the sufferings of that time are not worthy to be compared with the glory they now know…and will forever know. A glory far greater than the suffering which achieved it. The number of people he’s influenced … well, things seem to add up, don’t they? You only appreciate it when you look at each stage of his life and make the connections between them. …I used to ask myself: How would things have turned out if the three of us and our mother had been in the camp with him? Then I understood my father would have spent less time with the other youngsters, which would have deprived them of so much. That didn’t seem fair to them. He was needed there. The stories we heard after his death prove that. If we can look at Eric and his family’s tragedy, and others’ tragedies, and see some divine purpose in them, it can help us believe that there is purpose in our own tragedies too. It can help us believe the blood-bought promise of God: “all things work together for the good of those who love God, who are called according to his purpose” (Romans 8:28, CSB). Though years ago I had been deeply touched by Liddell’s story watching Chariots of Fire, it was what Margaret Holder told us that day that really made me look forward to meeting in Heaven this man whose Olympic gold medal was nothing compared to his humble service for Christ. Eric Liddell would say, “When you speak of me, give the glory to my master, Jesus Christ.” He would not want us to think solely of him. He would want us to see the Christ whom he served. I’m counting on Eric, in his resurrection body on the New Earth, being able to move slowly enough for me, in my resurrection body, to run alongside him. Together, we’ll worship our Lord and Savior, the One to whom all glory and praise is due. You might enjoy this last clip of Eric racing in Chariots of Fire. He was known for looking face up to breathe deeply, and sometimes flailing his arms. His reckless abandon and face skyward beautifully symbolize how he set his eyes on the risen Christ in Heaven. If you wish to know more, here’s an article on Eric's life, and here's another I read and loved, about his life after the Olympics. Also, if you’d like to read more about Margaret’s story, in my book The Grace and Truth Paradox I tell about her and the other prisoners’ rescue from the camp by Americans. I have only one Lord, but many spiritual heroes. Here are nine of mine. Scripture reminds us first that our citizenship is in heaven, not here on earth (Philippians 3:20).